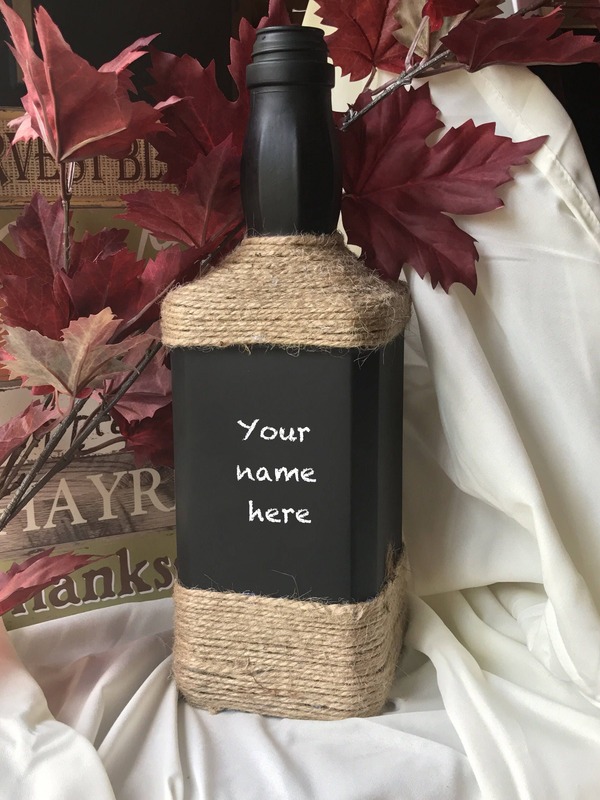 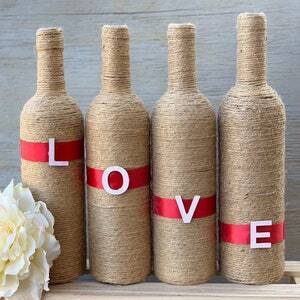 This chalk and twine embellished bottle is a beautiful center piece for any event. 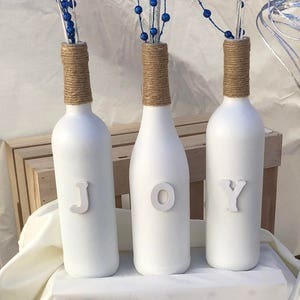 From baby showers to wedding celebrations, this shabby chic piece is the perfect touch. 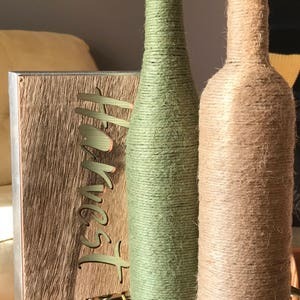 This recycled bottle is covered with black chalk paint and the neck and bottom of the bottle are wrapped in jute twine. 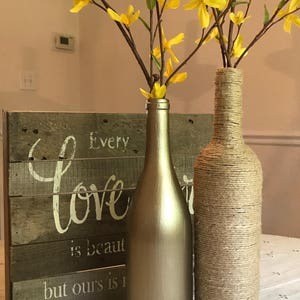 The bottle is protected with a clear matte finish.